Description: The active ingredients of the drug helps increase strength, muscle mass and resistance. Reduce the time needed to restore the body after exercise. Components promote drying of the muscles of the body, prevent muscle protein hunger for more than 9 hours. Contribute to it improves of all the systems of the body, since having the composition of complex vitamin and mineral. The drug, which occupies a prominent place in bodybuilding, which is planned to increase the muscle mass during the course. It is not a staple food, but only a complement to a complete diet. It form injection is much more secure because once is gets in the blood and is eliminates quickly by the body without effects toxic in the liver and the kidneys. Even at the minimum dose achieved excellent results in a short time. The testosterone propionate dose required is calculated by the weight body, as well as an effect expected of the drug. 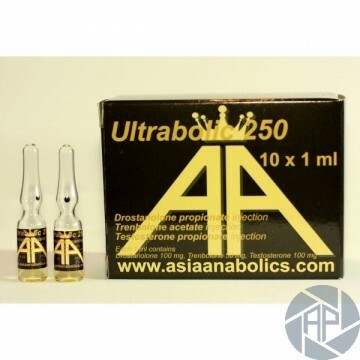 Drostanolone propionate before taking check with your doctor and know the details of the tag. Recommend to take before the training, after the training and before go was to the bed. Do not take for pregnant women, breastfeeding women and young people under 18 years of age. Take only if you do not have an individual sensitivity to the drug or contraindications. Recomiendantestosterona propionate doses of the drug, which is up to 600 mg per week. The course of 6-9 weeks, depending on the expected results. The women and the beginner dose is calculated individually. To do this, you must consult a doctor and study in detail the instructions, or contact our professional representatives. We need diet doderzhivatsya with a high content of protein and calorie content. In the case of overdose and abuse, possible effects such as dizziness, headache, hypertension, the growth of hair on the body and face, fever, intoxication, increased breast men, pain when urinating. As disorders of the gastrointestinal tract (nausea, vomiting, abdominal distention, abdominal pain). Tumours, weight gain, dizziness, headaches, itching, rashes, acne, bleeding. In the case of an overdose in women may experience more side effects: loss of hair, the growth of hair on the body, the face, the decrease in the size of the breast, roughness and hoarseness of the voice. For combination with other medications should consult a physician. When used by the doses of the individual drugs and not to exceed the duration of the course, there are no side effects.